Legislation that would require uranium mining companies to prove they can return groundwater supplies to the same condition as they found them passed the Senate today with overwhelming bipartisan support. 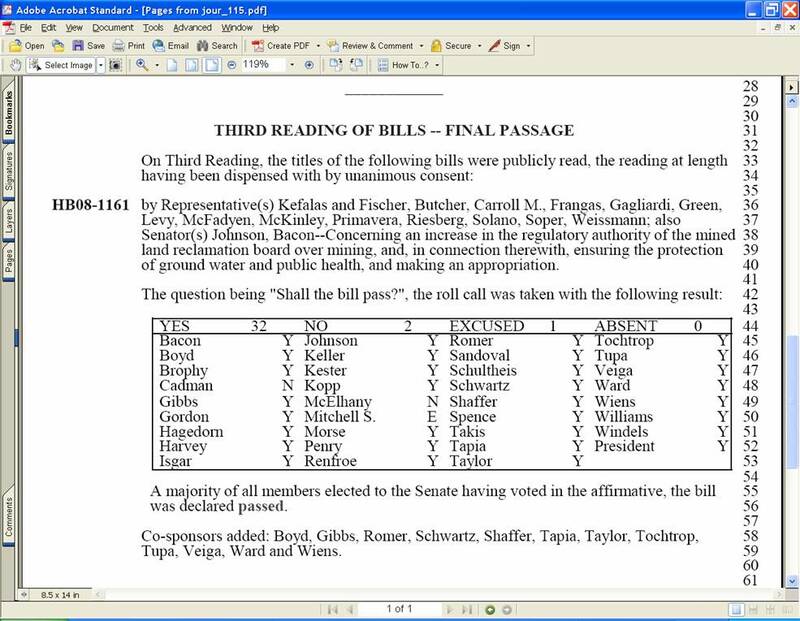 HB 1161, sponsored by Fort Collins Democratic Reps. John Kefalas and Randy Fischer as well as Larimer County Republican Sen. Steve Johnson, passed on Third Reading this morning with a vote of 32-2. Because minor amendments were added to the legislation after it passed the House, the bill must go back to the House for approval before heading to Gov. Bill Ritter's desk for consideration. The legislation will have an impact on a proposed uranium mine northeast of Fort Collins in Nunn, Colorado.